Contact • Hey, It's Free! Whether you’re looking to submit a freebie, tell me how much this site rocks, or even how you hate my guts – I want to hear from you! General Comment, Suggestion, or Question – I love hearing from my readers, whether it's help with a freebie-related question or a simple comment. Please note that despite getting dozens of emails a day, I do try my best to respond to as many as possible. Also, no matter what, I read each and every email that comes through my inbox! New Freebie, Deal, or Contest Submission – Found a freebie or new offer? Then please send it in and I might just give you a shout-out! Advertising & Corporate Inquiry – Please feel free to get in touch if you are interested in advertising your product, company, or brand on Hey, It's Free. We also accept sponsored contests and giveaways for prizes valued over $100. Technical Support – If you're having trouble with our website, social media, or any other aspect of HIF, please don't hesitate to reach out. Please include what errors you're experiencing and what device you're using. 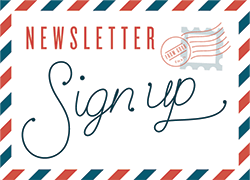 If you're having trouble signing up for our free daily newsletter then please let me know. If you're already a subscriber and you want to update your name or email, then look for the update link at the bottom of every newsletter! Press & Media Request – If you're a member of the media (television, print, pirate radio, etc) then please feel free to contact me. I'm happy to respond to your query and help in any way possible.